As the Trump administration’s court-ordered deadline approaches for reuniting all the families it has forcibly separated at the U.S.-Mexico border, Department of Justice (DOJ) lawyers advised a U.S. District Court that as many as 463 parents may have already been deported, jeopardizing reunification with their children. 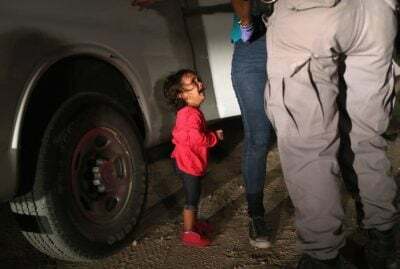 The news comes weeks after reports that many parents had been asked to sign away their rights to asylum by completing so-called “voluntary departure orders” with the understanding that they could be reunited with their children if they agreed to deportation. Last month, U.S. District Judge Dana Sabraw ordered the Trump administration to reunite 2,551 children—ranging in age from five to 17—with their parents and guardians by this Thursday, July 26. According to the DOJ’s court filing, parents who are not currently in the U.S. may not be eligible for reunification with their children. The ACLU and other immigrant rights advocates have argued that many of the parents who have been deported were pressured to agree to deportation without understanding their rights, following the traumatizing ordeal of family separation—many after fleeing violence and unrest in their home countries. Last week, Sabraw temporarily halted deportations after the ACLU filed a report saying it needed time to contact and advise parents before they agreed to be deported —but the DOJ’s court filing suggests that it was already too late for hundreds of parents. About 900 parents had deportation orders as of Monday, and the ACLU is seeking a court order that would halt the deportation of parents until after they have been reunited with their children—to avoid worsening the crisis described in the DOJ’s filing.